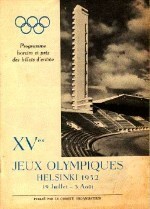 When Tokyo refused to organize the 1940 games, the I.O.C selected Helsinki. We know why they were not organised and this the reason why the 1947 I.O.C Congress chose Helsinki for the XVI Olympiad. Athletes from USSR took part for the first time.